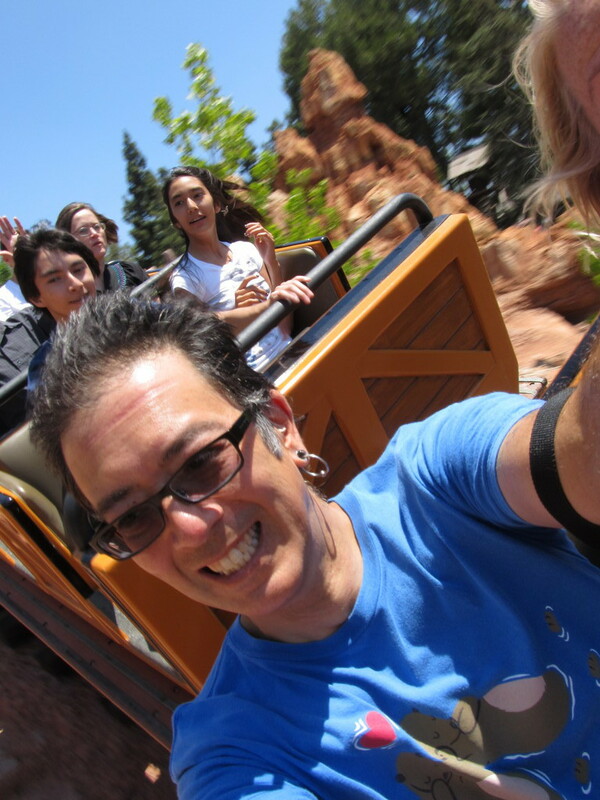 Today was the after-the-last-day-of-school trip to Disneyland. But Lucinda’s friends who have Disneyland passes couldn’t come. I told Lucinda that I’d made the arrangements, and Kathleen and I were going anyway, regardless of whether she wanted to go or not. So she stayed home and we went and had a nice day at the Magic Kingdom. 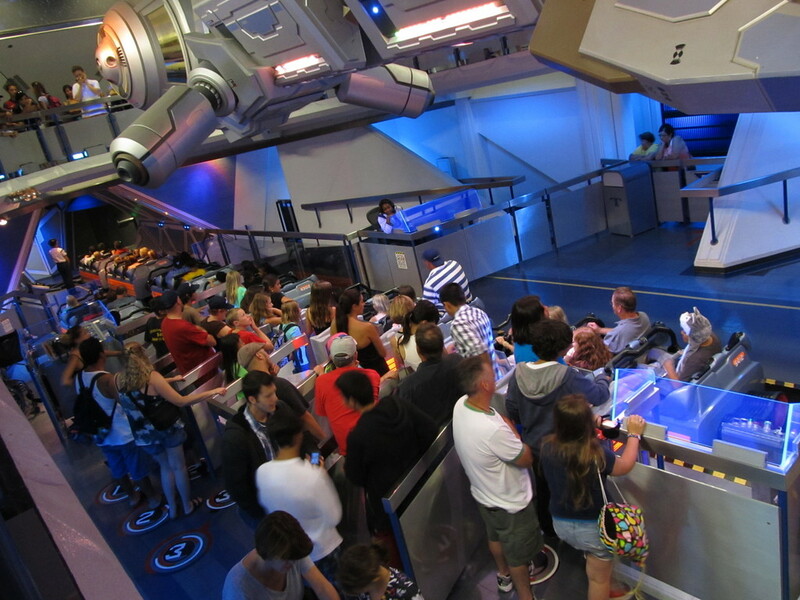 When we got there, we headed straight for the newly-reopened Star Tours, only to find that everyone else had had the same idea. This wasn’t really a surprise, but I’d hoped that the line might be not more than an hour. But it was too long. So we walked over and got some Fast Passes for Space Mountain for later in the day. 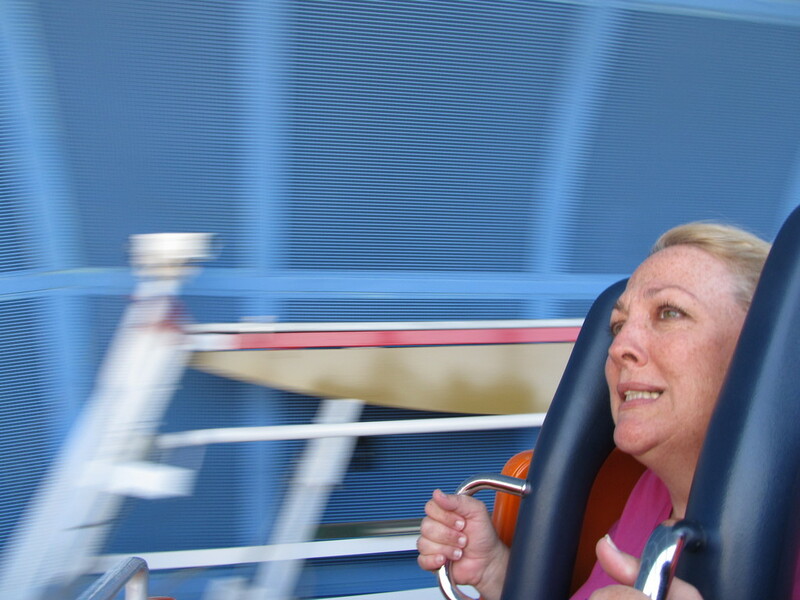 Getting passes for that ride is like buying savings bonds. You have wait a long time for them to mature. 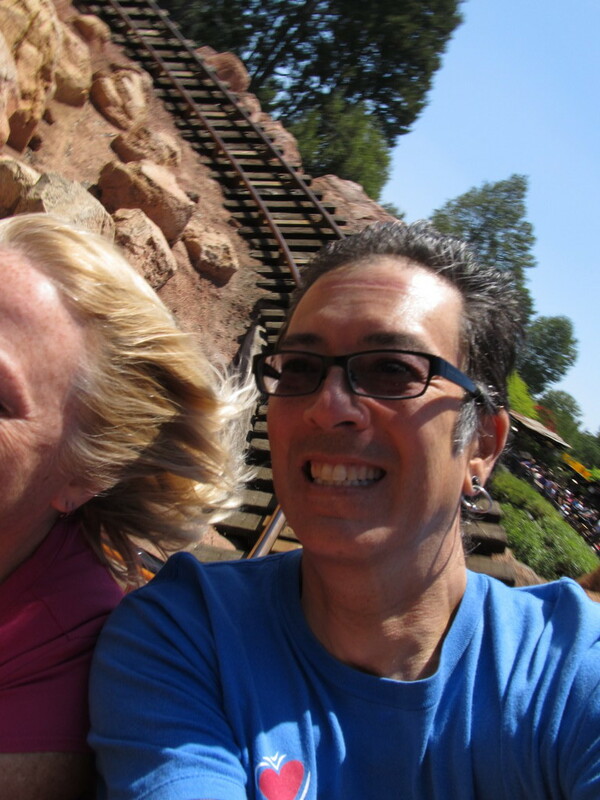 In the meantime, we rode Big Thunder Mountain twice, California Screamin’ four times, had lunch, and rode the new Little Mermaid ride. By then, our passes for Space Mountain were ripe and ready, so we walked over there and went in. We got all the way down to the last ramp when something happened and they shut the ride down. They turned on the lights, which was kind of weird. And they brought all the trains down. Apparently they have something like eight or nine trains running at a time in there. After a few minutes, they reset whatever had gone wrong, and they started it up again. 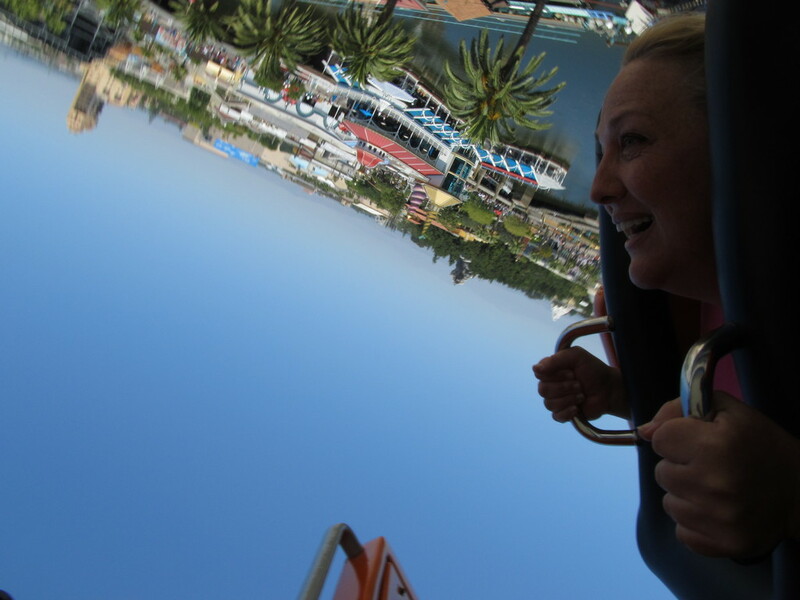 So we finally got our ride on it. 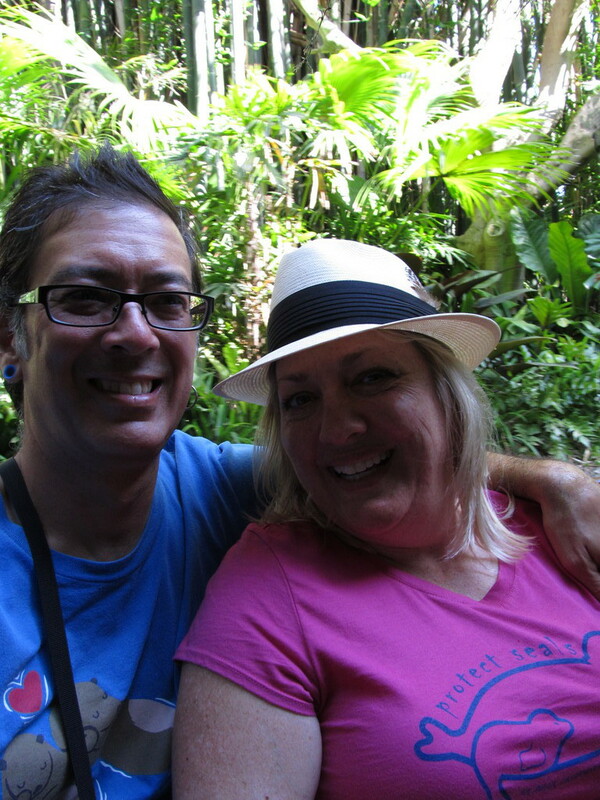 We finished off the day at the Jungle Cruise and Pirates of the Caribbean. Both old favorites. 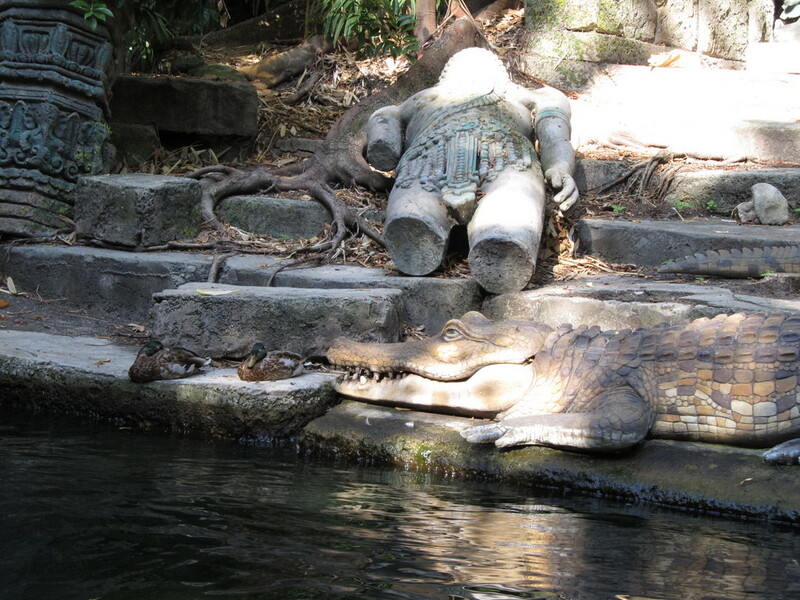 I thought it was funny that the ducks on the jungle cruise know that the alligator isn’t real, even a lot of small children don’t realize that. All told, it was a fun day.